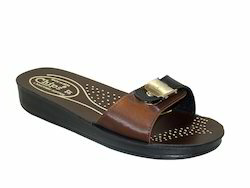 Our range of products include buckle designed ladies footwear, womens footwear, flat ladies footwear, casual ladies footwear, ladies stylish footwear and black ladies slipper. 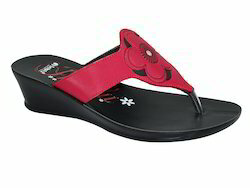 We are actively involved in offering a large array of Ladies Slipper with Buckle Designed Ladies Footwear. This ladies slipper is designed using the finest quality material & sole by our skilled professionals. The offered ladies slipper is quality tested by our quality inspectors, in order to make certain its quality. Offered ladies slipper is demanded in the market owing to its comfort & durability. 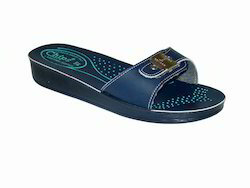 As well, customers can avail this ladies slipper from us at affordable prices. In our extensive range of products, we are offering our clients a qualitative assortment of High Heel Ladies Footwear. 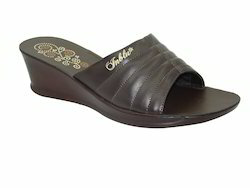 The offered ladies slipper is available from us in numerous sizes & color options. Offered ladies slipper is designed using optimum quality material and contemporary techniques under the direction of skilled professionals. This ladies slipper is available in various designs and sizes in order to meet the various requirements of clients. Presenting one of the best seller from the Chips collection! Make a bold style statement wearing this flat slipper for women. The sleek closed upper with double buckle design add to the overall appeal of this slipper. The PU sole further makes this slipper durable. Featuring a classy cut-work on the flower designed upper, this black slipper from Inblu for women will add a sophisticated touch to your overall look. 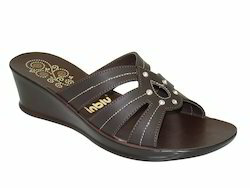 The high heels make this sandal extremely comfortable while walking and the designed insole add to its durability. Pair this trendy slipper with casual, formal all ethnic outfits to complete your look for the day. Presenting one of the best seller from the Chips collection! Make a bold style statement wearing this light weight slipper for women. The sleek closed upper with buckle add to the overall appeal of this slipper. The PU sole further makes this slipper durable. High heel sandal, comfortable P. U. Made sandal. Looking for Casual Ladies Footwear ?